serves Lancaster, Berks & Lebanon counties in PA! Click on the link above to view this video. 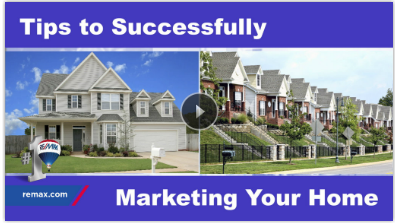 Great information from RE/MAX International! Rentals advertised on CraigsList - fact or fiction? Beware of the many scams!! Folks - if you haven't met a real, live person or professional, do NOT send $! EVERY single rental that is legit will have either a property owner - OR a property manager - that is physically showing & renting the property. Be careful out there - use common sense - and never EVER wire money to an unknown person....Feel free to share! Save some others the heartache of this scam! Check out these fabulous historic homes in Lancaster Pennsylvania! 100+ years old! Happy browsing! This site is always up-to-date! Bookmark us and stop back often! Just click the link above for all property listings in the Ephrata school district! It's a GREAT time to buy! This link is always up-to-date! Happy browsing! Reading to sell or buy in Ephrata area? Call us - 717-723-9080! Looking for homes in New Holland, Denver, East Earl, Blue Ball & surrounding areas of PA? Just check out the link above! It's always current with all ELANCO homes for sale! Happy browsing! In my opinion, Dave is usually very accurate with his forecasts/predictions. This one is worth the 5 minutes to watch! Thinking of selling? Contact The Jennifer King Team @ 717-723-9080! Considering buying? What a GREAT time! You can browse all properties in Pennsylvania - Berks, Lancaster & Lebanon counties - right here! Thinking of investing? NOW is the time! GREAT inventory, GREAT interest rates - it's a "win-win!" Check out these great foreclosures and short sales! Will our government focus on housing? ?